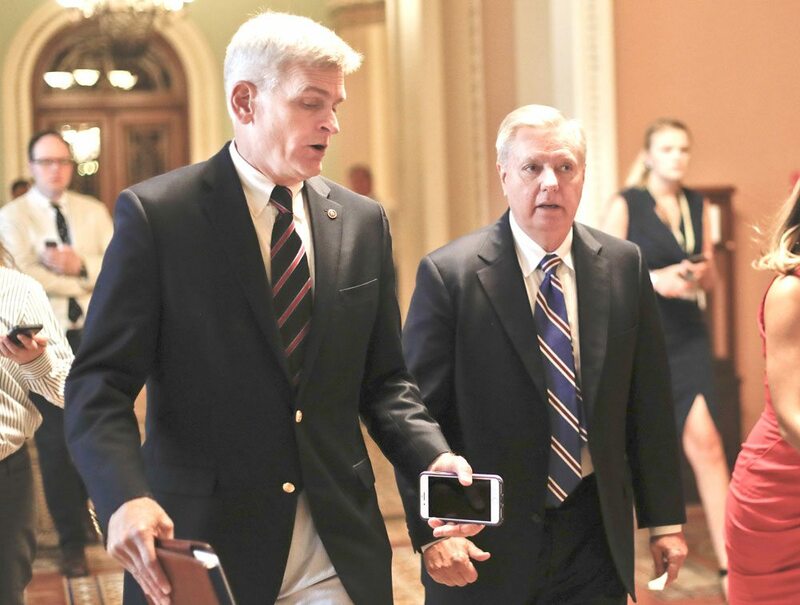 AP Photo SEN. BILL CASSIDY, R-La., left, and Sen. Lindsey Graham, R-S.C., right, talk while walking to a meeting on Capitol Hill in Washington in July. Senate Republicans are planning a final, uphill push to erase President Barack Obama's health care law. Graham and Cassidy are leading the new GOP charge and they'd transform much of Obama's law into block grants and let states decide how to spend the money. WASHINGTON (AP) — Top Senate Republicans say their last-ditch push to uproot former President Barack Obama’s health care law is gaining momentum. But they have less than two weeks to succeed and face a tough fight to win enough GOP support to reverse the summer’s self-inflicted defeat on the party’s high-priority issue.